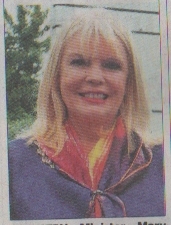 Minister Mary Mitchell O’Connor will return to her native Milltown next weekend to officially launch a new brochure outlining the rich heritage of the region as part of the country’s Heritage Week 2016 celebrations. The Milltown Heritage Trail booklet was developed in association with Milltown Heritage Group in conjunction with Milltown Development Company and aims to highlight the rich built, natural and cultural heritage to be found in the village and its surrounding district. Minister Mitchell O’ Connor, who has responsibility for jobs, Enterprise and Innovation, will be on hand to launch the brochure at Milltown Community Centre on Sunday, August 28 at 12.30pm. Local community groups and businesses will be displaying their products and services on the day and local talent will provide musical entertainment. Entry is free and light refreshments will be served. The 78-page booklet features numerous sites of interest in Milltown and the surrounding areas and was developed in association with Galway County Council’s Heritage Office. Scenic photographs of some of the region’s best known landmarks are also included as are short profiles of some of Milltown’s most famous people and their legacies. The region is one of six to have its own dedicated page on the Heritage website of Galway County Council, which is updated regularly by the community’s heritage group. The group of local people have also curated an impressive collection of artefact’s and memorabilia in the Heritage Room located in the community centre.